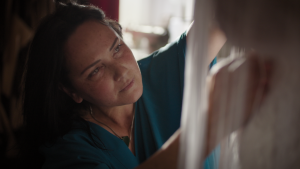 If you haven’t yet watched Maori TV’s wonderful series Artefact, the good news is that it’s only half way through, it’s all online, and you really won’t want to miss the episode scheduled for 28 May, Threads that Bind. 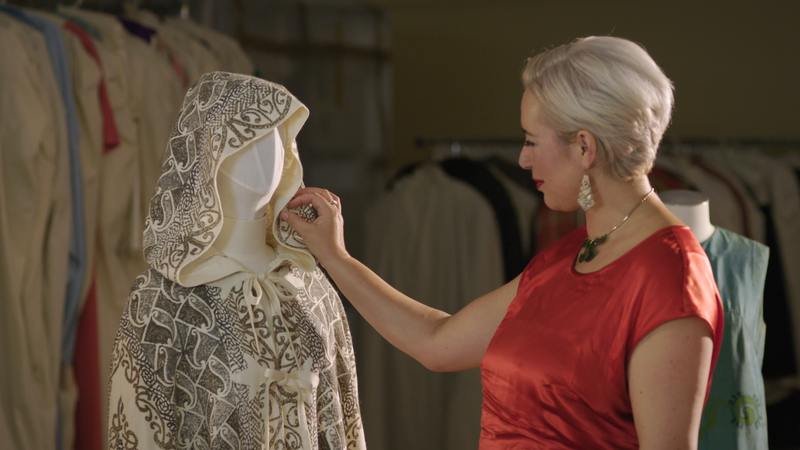 May-Ana Tirikatene-Sullivan (above) introduces us to the politically significant wardrobe of her mother, the late Hon Whetu Tirikatene-Sullivan; artists Tame Iti and Rosanna Raymond talk about power dressing and style, and designer Kiri Nathan about her high-fashion label. 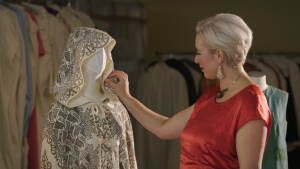 Each has a considered conversation with the series presenter, Dame Anne Salmond, about how heritage and modern techniques work together to make their statements. And there are lots of gorgeous shots of the garments and objects in question. 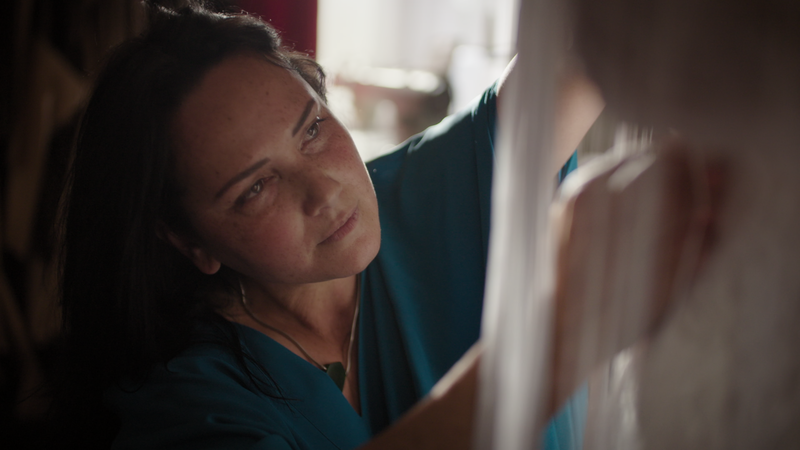 And Veranoa Hetet talking weaving, and the Soldiers Rd Portaits studio. If you missed it, that’s what on demand is for. 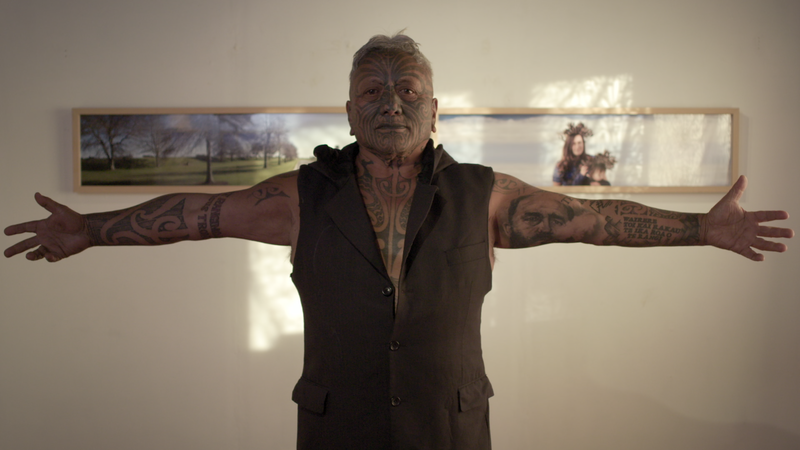 Images supplied by Maori Television. 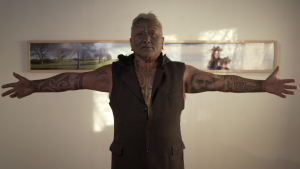 This entry was posted in Artists, Fashion, Maori, Museums, Television and tagged Artefact, Kiri Nathan, Rosanna Raymond, Soldiers Rd Portraits, Tame Iti, Te Papa, Veranoa Hetet, Whetu Tirikatene-Sullivan. Bookmark the permalink.